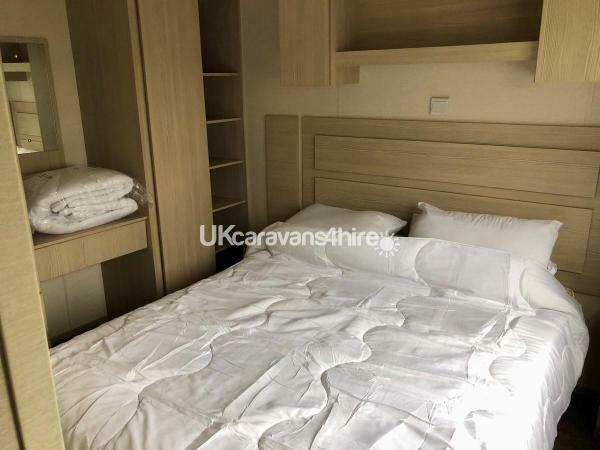 2019 PRICES NOW ADDED We need a £50 deposit to book which is deducted from the balance, we also ask a £50 bond in addition to the balance which is refundable providing the caravan is left as it's found. 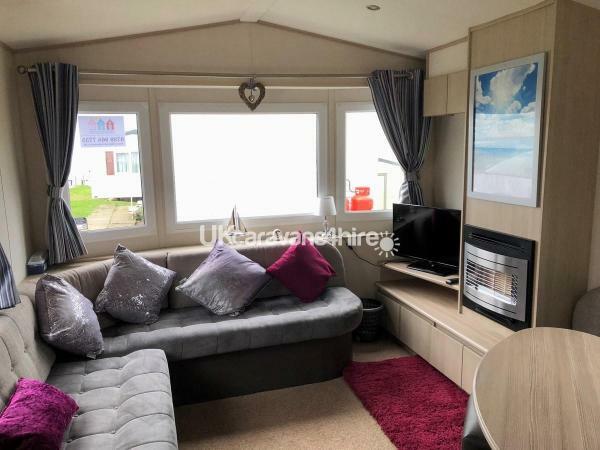 The Holiday home close to the Main Attractions on the Haven park. 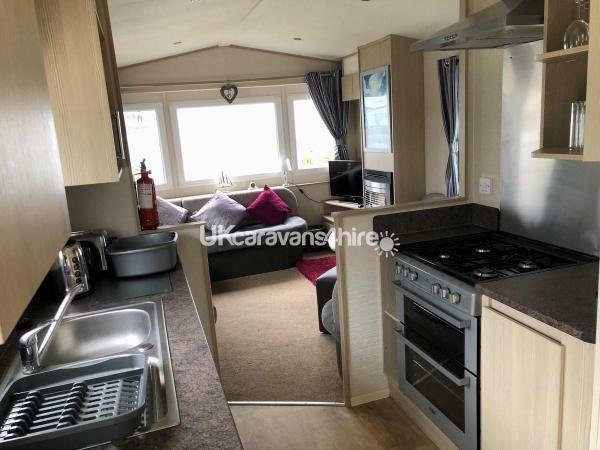 Our caravan is perfect for larger families, it is convenient for access to the entertainment venues, it has 3 bedrooms. 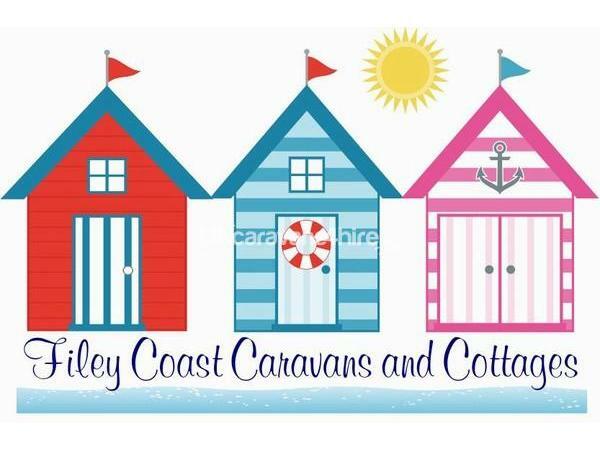 Static Caravan available for hire on Reighton Sands Holiday Park. 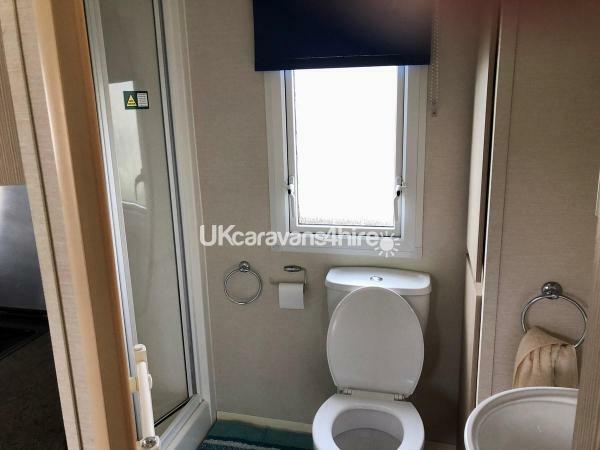 Our caravan has double glazing and gas central heating, it also has a gas fire in the lounge. 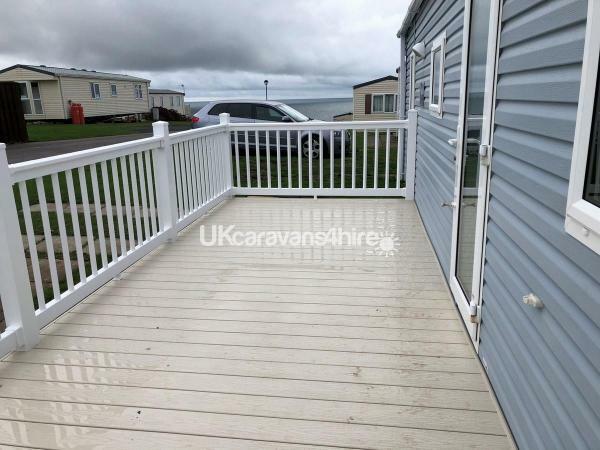 It has a large decking with a table and chairs to the side. 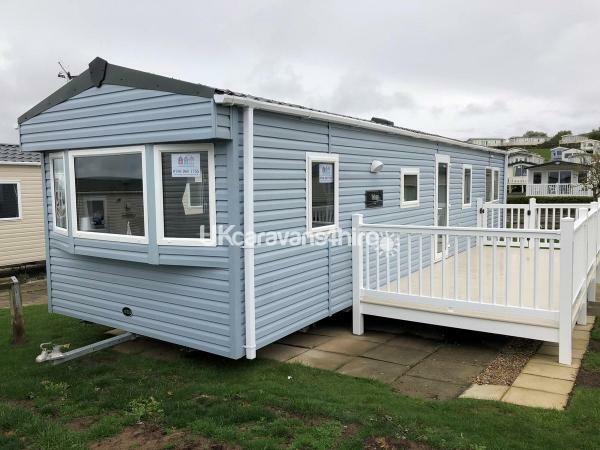 The caravan is ideally located and is a short 3-4 minute walk from the Funworks complex, it also has a lovely sea view. 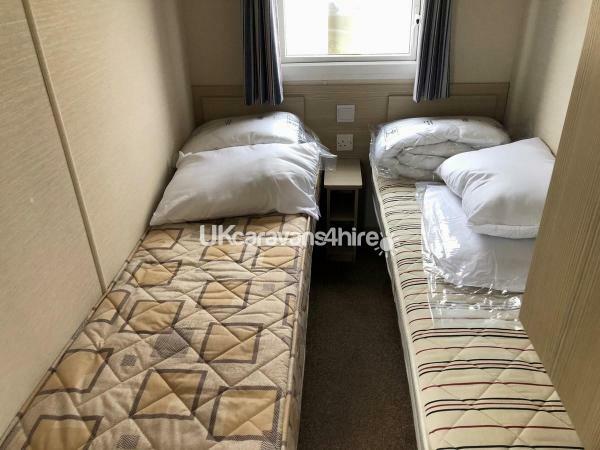 The caravan has a fairly large double room and 2 twin bedrooms, it also has a pull out bed under the sofa in the living room so can comfortably sleep up to 8 people. 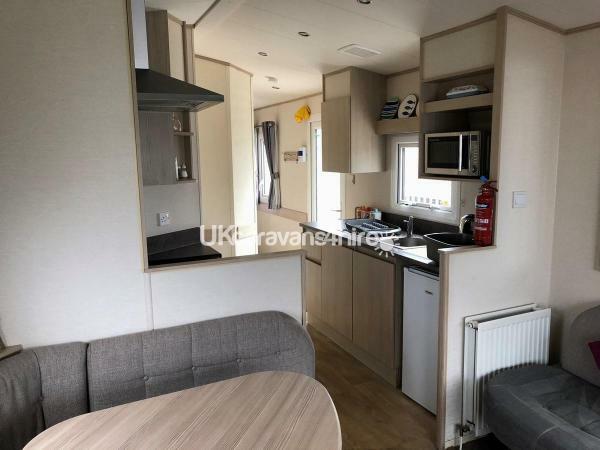 The kitchen has all the equipment you will need for your stay and the usual electrical items like kettle, toaster, microwave etc. We have duvets and pillows available to use and we can supply bedding at an extra cost.